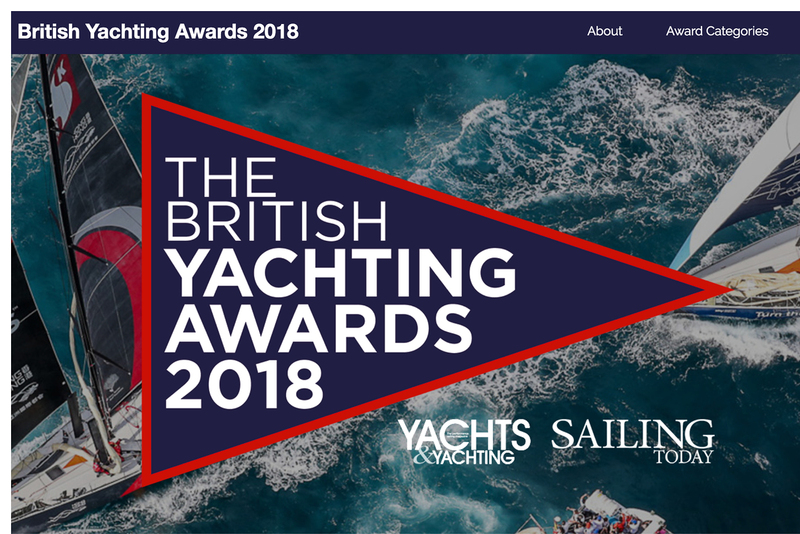 Two Royal London Yacht Club members were nominated in the British Yachting Awards 2018. Giles Peckham – Award Category 'Amateur Sailor' and Will Bedford – Award Category 'Young Sailor of the Year'. Our Members joined an elite group by way of their nominations and we are really thrilled for them. Even though they didn't win on the night, the nominations alone were extremely prestigious. ***** Both nominees talked about their sailing. WILL BEDFORD - And not to be outdone although there are at least 30 years experience between them, one of the Royal London's Etchells Youth Academy Sailors Will Bedford is up for the 'Young Sailor of the Year Award'. Will has stormed this season, he's thoughtful, charming and sails with an ease and a grace that many older sailors envy. In fact he's beaten many of them, winning trophies and gaining experience and opportunities. Will credits his teammates and fellow Etchells youths for making it an amazing year and setting up for many more. We asked Will a few questions about his experiences. Will said "Winning the British Yachting Awards young sailor of the year would be more than flattering. I know of so many sailors that are more than deserving of the award, including all the other nominees. Their credentials include National and World Championships titles, things that are very difficult to compete with. I'm utterly thrilled to be in the same category. I genuinely love sailing when I am on the water I only fear not having a good time. But I always do I sail with people that I like being around, we are in it together and I really appreciate their company. I am really thrilled at the nomination, I don't think that I am that good at sailing to warrant it! I do always give it my all though, I guess that I try to make sure that the boat is set up as best as possible for the conditions that we are sailing in, ensure the crew all know what they are doing and then keep it super simple. We try to get off the line, stay in phase with the fleet upwind and just get going.